Kants gesammelte Schriften. Herausgegeben von der Deutschen (Königlich Preußischen) Akademie der Wissenschaften, 29 vols. Walter de Gruyter, Berlin, 1900–). (AA) Akademieausgabe. Prolegomena zu einer jeden künftigen Metaphysik, die als Wissenschaft wird auftreten können. 1783. Kant, AA IV. Prolegomena to Any Future Metaphysics That Will Be Able to Come Forward as Science. Translated by Gary Hatgield. Cambridge University Press, Cambridge 1997.
religions (1783). In Kant: Practical philosophy. Translated and edited by Mary J. Gregor. Cambridge University Press, Cambridge 1996. Idea for a universal history with a cosmopolitan aim. In Kant: Anthropology, History, and Education. Translated by Robert B. Louden. Cambridge univeristy press, Cambridge 2007. An answer to the question: What is enlightenment? In Kant: Practical philosophy. Translated and edited by Mary J. Gregor. Cambridge University Press, Cambridge 1996. Vastaus kysymykseen: Mitä on valistus? Teoksessa Mitä on valistus?. Tampere: Vastapaino, 1995. Recensionen von J.G.Herders Ideen zur Philosophie der Geschichte der Menschheit. Theil 1. 2. (1785): Kant, AA VIII. Review of J . G. Herder’s Ideas for the philosophy of the history of humanity. Parts 1 and 2 (1785) 121 Translated by Allen W. Wood. In Kant: Anthropology, History, and Education. Translated by Robert B. Louden. Cambridge univeristy press, Cambridge 2007. Über die Vulkane im Monde (1785): Kant, AA VIII. On the volcanoes on the Moon (1785). Von der Unrechtmäßigkeit des Büchernachdrucks (1785): Kant, AA VIII. (1785). In Kant: Practical philosophy. Translated and edited by Mary J. Gregor. Cambridge University Press, Cambridge 1996. Bestimmung des Begriffs der Menschenrace (1785): Kant, AA VIII. Determination of ‘the concept of ‘a human race (1785). Translated by Holly Wilson and Günter Zöller. In Kant: Anthropology, History, and Education. Translated by Robert B. Louden. Cambridge univeristy press, Cambridge 2007. Grundlegung zur Metaphysik der Sitten (1785): Kant, AA IV. Groundwork of The metaphysics of morals (1785). In Kant: Practical philosophy. Translated and edited by Mary J. Gregor. Cambridge University Press, Cambridge 1996. Mutmaßlicher Anfang der Menschengeschichte (1786): Kant, AA VIII. Conjectural beginning of human history (1786) Translated by Allen W. Wood. In Kant: Anthropology, History, and Education. Translated by Robert B. Louden. Cambridge univeristy press, Cambridge 2007. Einige Bemerkungen zu L. H. Jakob’s Prüfung der Mendelssohn’schen Morgenstunden: Kant, AA VIII. Some remarks on Ludwig Heinrich Jakob’s Examination of Mendelssohn’s Morning hours (1786). Translated by Günter Zöller. In Kant: Anthropology, History, and Education. Translated by Robert B. Louden. Cambridge univeristy press, Cambridge 2007. On the philosophers’ medicine of the body (1786). Translated by Mary Gregor. In Kant: Anthropology, History, and Education. Translated by Robert B. Louden. Cambridge univeristy press, Cambridge 2007. Kraus’s review of Ulrich’s Eleutheriology. In Kant: Practical philosophy. Translated and edited by Mary J. Gregor. Cambridge University Press, Cambridge 1996. Metaphysische Anfangsgründe der Naturwissenschaft (1786) Kant, AA IV. Metaphysical Foundations of Natural Science. In Kant: Theoretical Philosophy, 1755-1770. Translated by David Walford. Cambridge University Press, Cambridge 1992. Recension von Gottlieb Huseland’s Versuch über den Grundsatz des Naturrechts (1786). Kant, AA VIII. Review of Hufeland’s Essay on the principle of natural right. Translated by Allen Wood. In Kant: Practical philosophy. Cambridge University Press, Cambridge 1996. Was heißt: sich im Denken orientieren? (1786): Kant, AA VIII. “What does it mean to orient oneself in thinking? Translated by Allen W Wood. iN Kant: Religion and Rational Theology. Cambridge University Press 1996. Über den Gebrauch teleologischer Prinzipien in der Philosophie (1788): Kant, AA VIII. On the use of teleologica principles in philosophy (1788). Translated by Günter Zöller. In Kant: Anthropology, History, and Education. Translated by Robert B. Louden. Cambridge univeristy press, Cambridge 2007. 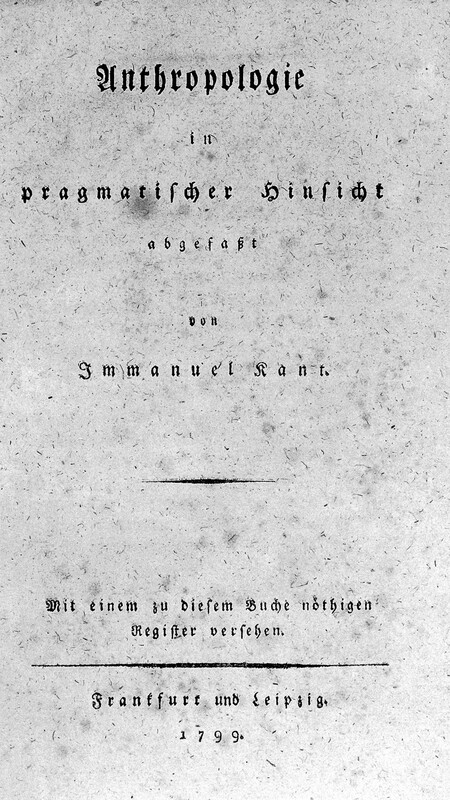 Kritik der praktischen Vernunft (1788): Kant, AA V.
Critique of practical reason (1788). In Kant: Practical philosophy. Translated and edited by Mary J. Gregor. Cambridge University Press, Cambridge 1996. Käytännöllisen järjen kritiikki. Siveysopilliset pääteokset. Suomentanut J. E. Salomaa. Porvoo Helsinki Juva: WSOY, 1931: 1990. Käytännöllisen järjen kritiikki. Suomentanut Markus Nikkarla. Gaudeamus 2016. Kraus’s review of Ulrich’s Eleutheriology (1788). In Kant: Practical philosophy. Translated and edited by Mary J. Gregor. Cambridge University Press, Cambridge 1996. 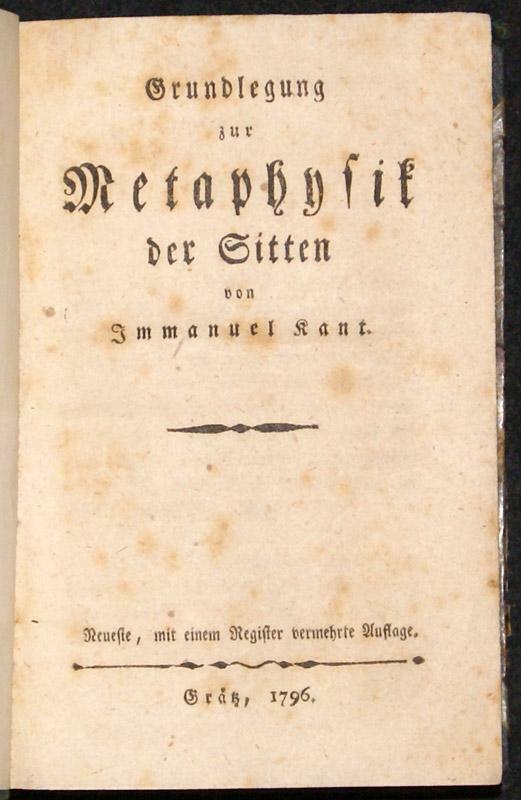 Über eine Entdeckung, nach der alle neue Kritik der reinen Vernunft durch eine ältere entbehrlich gemacht werden soll 1790: Kant, AA VIII. On a discovery according to which any new critique of pure reason has been made superfluous by an earlier one. In Kant: Theoretical Philosophy, 1755-1770. Translated by David Walford. Cambridge University Press, Cambridge 1992. Critique of the Power of Judgment. Translated by Paul Guyer, Cambridge University Press, Cambridge 2000. 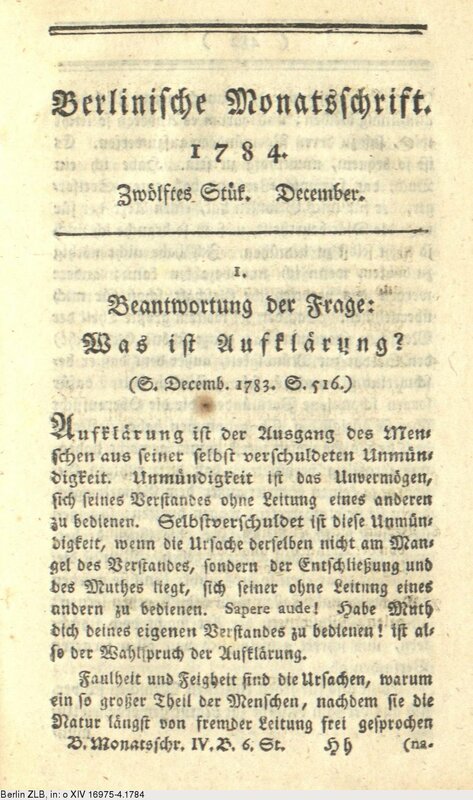 Über das Mißlingen aller philosophischen Versuche in der Theodicee (1791): Kant, AA VIII. On the miscarriage of all philosophical trials in theodicy (1791). Translated by George di Giovanni. Kant: Religion and Rational Theology. Cambridge University Press 1996. Über den Gemeinspruch: Das mag in der Theorie richtig sein, taugt aber nicht für die Praxis (1793): Kant, AA VIII. it is of no use in practice (1793). In Kant: Practical philosophy. Translated and edited by Mary J. Gregor. Cambridge University Press, Cambridge 1996. Das Ende aller Dinge (1794):Kant, AA VIII. The end of all things (1794) Translated by Allen W Wood. Kant: Religion and Rational Theology. Cambridge University Press 1996. Zum ewigen Frieden. 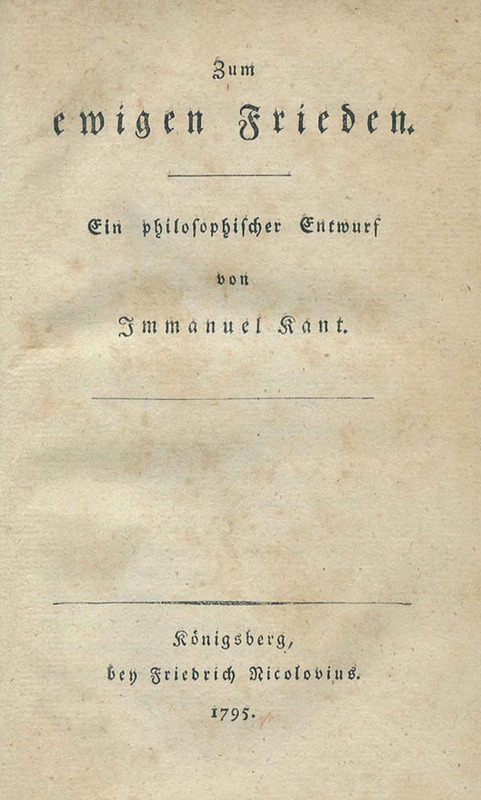 Ein philosophischer Entwurf (1795): Kant, AA VIII. Toward perpetual peace (1795). In Kant: Practical philosophy. Translated and edited by Mary J. Gregor. Cambridge University Press, Cambridge 1996. Von einem neuerdings erhobenen vornehmen Ton in der Philosophie (1796): Kant, AA VIII. On a recently prominent tone of superiority in philosophy (1796). In Kant: Theoretical Philosophy, 1755-1770. Translated by David Walford. Cambridge University Press, Cambridge 1992. Ausgleichung eines auf Mißverstand beruhenden mathematischen Streits (1796): Kant, AA VIII. Settlement of a mathematical dispute founded on misunderstanding (1796). In Kant: Theoretical Philosophy, 1755-1770. In Kant: Theoretical Philosophy, 1755-1770. Translated by David Walford. Cambridge University Press, Cambridge 1992. Verkündigung des nahen Abschlusses eines Tractats zum ewigen Frieden in der Philosophie (1796): Kant, AA VIII. Proclamation of the imminent conclusion of a treaty of perpetual peace in philosophy (1796). Translated by Peter Heath. In Kant: Theoretical Philosophy, 1755-1770. Cambridge University Press, Cambridge 1992. Gedruckt als Anhang zu Sömmerring, Über das Organ der Seele. Kant: AA XII, Briefwechsel. From Soemmerring’s On the organ of the soul (1796). Translated by Arnulf Zweig. In Kant: Anthropology, History, and Education. Translated by Robert B. Louden. Cambridge univeristy press, Cambridge 2007. The metaphysics of morals (1797). In Kant: Practical philosophy. Translated and edited by Mary J. Gregor. Cambridge University Press, Cambridge 1996. Über ein vermeintes Recht aus Menschenliebe zu lügen (1797): Kant, AA VIII. On a supposed right to lie from philanthropy (1797), In Kant: Practical philosophy. Translated and edited by Mary J. Gregor. Cambridge University Press, Cambridge 1996. The conflict of the faculties (1798) Translated by Mary J.
Gregor and Robert Anchor. Kant: Religion and Rational Theology. Cambridge University Press 1996. 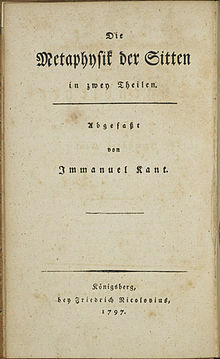 Über die Buchmacherei (1798): Kant, AA VIII. On turning out books. Two letters to Mr. Friedrich Nicolai. Translated by Allen Wood. In Kant: Practical philosophy. Translated and edited by Mary J. Gregor. Cambridge University Press, Cambridge 1996. Anthropology from a Pragmatic Point of View from a Pragmatic Point of View. In Kant: Anthropology, History, and Education. Translated by Robert B. Louden. Cambrdige univerity press, Cambridge 2007. Vorrede zu Reinhold Bernhard Jachmanns Prüfung der Kantischen Religionsphilosophie (1800): Kant, AA VIII. Allen W Wood. Kant: Religion and Rational Theology. Cambridge University Press 1996. Nachschrift zu Christian Gottlieb Mielckes Littauisch-deutschem und deutsch-littauischem Wörterbuch (1800): Kant, AA VIII. and German-Lithuanian dictionary (1800). Translated by Günter Zöller. In Kant: Anthropology, History, and Education. Translated by Robert B. Louden. Cambrdige univerity press, Cambridge 2007.